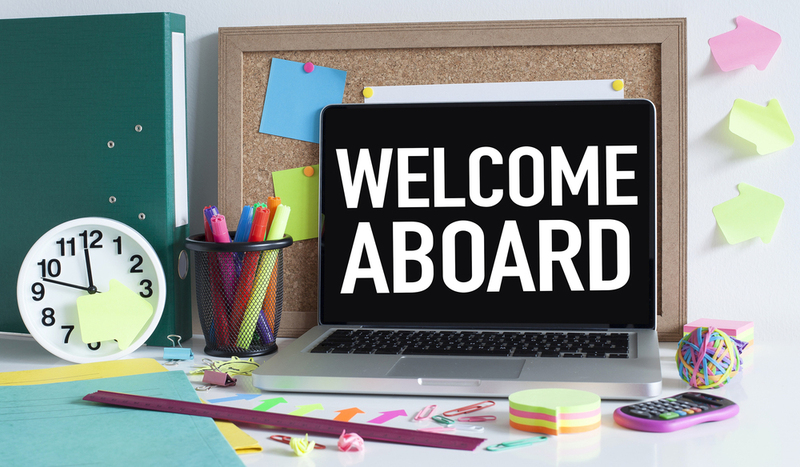 And if you want your new employees to have great first impressions of your organization as they’re being onboarded, you’ll want to present them with a thoughtful welcome kit that stands out. Here are six things you must include in your new employees’ welcome kits. E-mail address, phone number, etc. Keys, badges, IDs, parking passes, etc. Employee manuals and user manuals for logging in to company platforms, computers, software, etc. Each of your employees should receive a company directory that lists each employee’s e-mail address and phone number, as well as his or her title and department. And you should have direct managers, department leads, or a team of coworkers write all new hires a welcome letter with a personalized message. Include a list of all communications platforms and project management platforms, human resources tools, learning and development apps, etc., that your new employee is supposed to use every day. And then include information on how to download, access, and use them. While some platforms might be company-mandated, some are not. For instance, a lot of teams use Slack or Trello to communicate instead of corporate platforms, so make sure to let new employees know how to connect with others. In new employees’ welcome kits, include things like stationery with your company logo and their names on it, logoed water bottles, coffee mugs, tote bags, an engraved name plate for their desk, a book that their new team enjoyed reading and talking about recently, a gift card to the bistro around the corner everyone goes to for lunch, etc. Essentially, you’ll want to include personalized items that make your new employees feel welcomed and as if they’re already a part of the team they’re joining while also offering them helpful productivity tools for everyday use. New employees should be asking a lot of questions and wondering things like how lunch breaks in their department work, where they can go for more office supplies, what lunch place options are nearby, who to reach out to if they have issues with their laptop, etc. So, include a sheet of frequently asked questions (FAQs) in welcome packets to field the questions that most new hires ask. Consider pairing your new employees with mentors or coaches who should be contacted right away. Click Boarding says new employees are more likely to know and understand their organization’s culture and values when they spend time with a mentor. So, have another employee show your new hires around, introduce them to people, and field their concerns or questions for the first few months. If you include the six items above in your new employees’ welcome kits, they’ll be set up for success at your organization from day 1.